This is a guest post reposted from Common Sense Homesteading by Cassie Langstraat. When I first heard about rocket mass heaters I was kind of skeptical. I read that they could eliminate something like 80-90% of the wood of a conventional stove and I thought, “Bah! That seems like a pretty unreasonable claim to me.” So I put on my investigative pants and got pretty obsessed. One of the first articles that I came across was Paul Wheaton’s article on rocket mass heaters. He does a good job of breaking down the technology in a way that anyone can understand. So, I am going to relay some of his information as well as some other details I scrounged up! I want to tell you about several of the reasons why rocket mass heating is so important. Let’s jump in. #1 – Rocket mass heaters are way different from conventional wood stoves. They’re more like super-efficient and super-comfortable masonry heaters, except that people are building them for a LOT less money. How do they do achieve this super efficiency you ask? Well, it has to do with the innards of the rocket mass heater. First, the sticks are put into the wood feed vertically. They are standing straight up. Then, only the bottoms of the sticks burn, and the fire burns sideways! How does the fire burn sideways? Well, because the heat riser in the barrel is so insanely hot, it creates a convective current that pulls the fire sideways into it. Next, the thermosiphon draft pulls the smoke from the fire up into the riser and into the barrel. The sharp turn mixes that smoke with fire so it burns up the smoke! Thus, only leaving a tiny tiny bit of CO2! It’s nearly purely steam. This process is illustrated in the photo above, from Paul Wheaton’s article. #2 – Heating with a rocket mass heater is way cheaper and cleaner than using natural gas. This one surprised me, because natural gas is supposed to burn really clean. I didn’t know wood COULD burn that clean. It can, if you get the fire hot enough; wood can burn completely down to steam and CO2 just like natural gas does, with a little bit of mineral ash left over. But if you consider the environmental footprint of extracting natural gas (like frakking), and refining it, and the miles of pipes or delivery tanks that have to be in place for you to use it, then harvesting local dead wood starts to look pretty clean by comparison. When the exhaust runs through the cob mass, the mass absorbs the extremely high heat. Then it slowly releases the heat over the course of a few days. This enables the rocket mass heaters to continue heating a space for quite a while after the fire has stopped. This drastically reduces the amount of wood needed to sustain these bad boys. 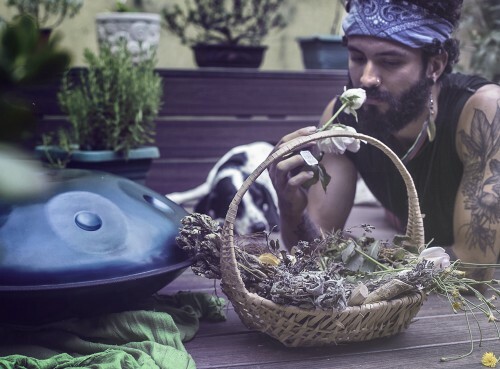 Some people have heated their home for years at a time using only dead yard debris and scrap wood, eliminating over $150/month in natural gas bills. #3 – They are super comfy to sit on, like a full body heating pad. Did you ever crouch over the heating vent in your nightie or pajamas, trying to get warm enough to get dressed? Good way to be late to school wasn’t it? Moving hot air around is not an efficient way to heat things – air doesn’t hold a lot of heat, plus it causes evaporation which makes you colder. Forced-air heating is pretty inefficient, the only reason we do it is that it’s relatively easy to control with thermostats and vents, and not as dangerous as steam heat. These rocket mass heaters are more efficient like steam heat, but way less dangerous – the surface temperature is just warm to the touch. They are usually sculpted into heated seats or beds, so if you need a warm-up boost you just curl up and tuck your toes under the cushions. Over-worked friends just kinda melt onto the bench when they come over for dinner. #4 – Rocket mass heaters can be completely DIY. These rocket mass heaters can most definitely be built by you and yourself alone. Ernie and Erica have taught tons and tons of workshops on how to build them. Respected teachers all over the world have, too! This is not to say that is is 100% simple or fool proof. You definitely need to do your research and especially need to figure out which kind of rocket mass heater is best for your situation. However, with research and careful planning, you can definitely make one by yourself and manage to not spend very much money. #5 – You keep far more heat inside your house with a rocket mass heater than with a conventional wood stove. A conventional wood stove uses a lot of the heat to push the smoke out of the house. With a rocket mass heater, the heat gets absorbed into the mass, and extracts as much heat as possible before the exhaust leaves the house. #6 – People are living comfortably in a rocket mass heated tipi through Montana winters. Like I said, up at Paul Wheaton’s land there is a ton of experimentation going on. 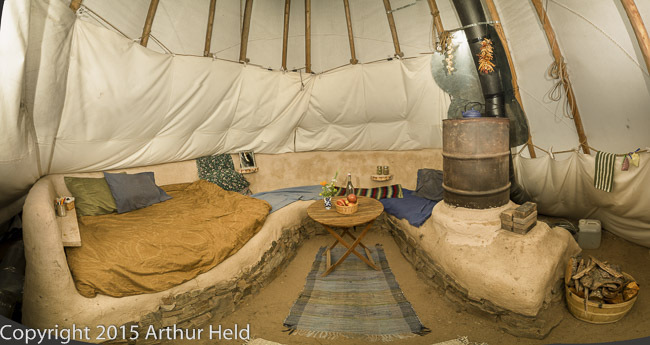 One of the coolest rocket mass heater innovations he has is the one that is inside of the tipi. It is a traditional cob style rocket mass heater that heats a completely uninsulated canvas tipi. Each of the people that have lived in it have reported utmost comfortability. This is huge because Montana gets down to -25 degrees Fahrenheit in the winter. I actually visited Paul’s land in December and got to hang out in the tipi and it was completely warm and toasty in there! #7 – Rocket mass heaters use old technology with a new twist. This taps into what I was saying earlier about the heat getting absorbed into the mass. What it does is mix modern science with knowledge from hundreds of years ago. Burn the smoke and capture heat from the exhaust while focusing on utilizing the more efficient forms of heat: radiant and conductive heat are favored over convective heat. The new twist is using modern materials (barrels, ducting) to make the building process cheaper and easier, and also making the heaters more effective at getting the heat where people want it: right where they can sit on it and tuck their cold toes under the cushions. Convection is heat transfer via moving air or water, which is how most of our standard heating systems work. Conduction happens when two surfaces touch each other – such as your body sitting on the warm stove exhaust. Radiant heat transfer happens when warmth radiates from a hot surface to strike another surface. It doesn’t require air movement. Examples include warmth radiating from a fire or from the sun. 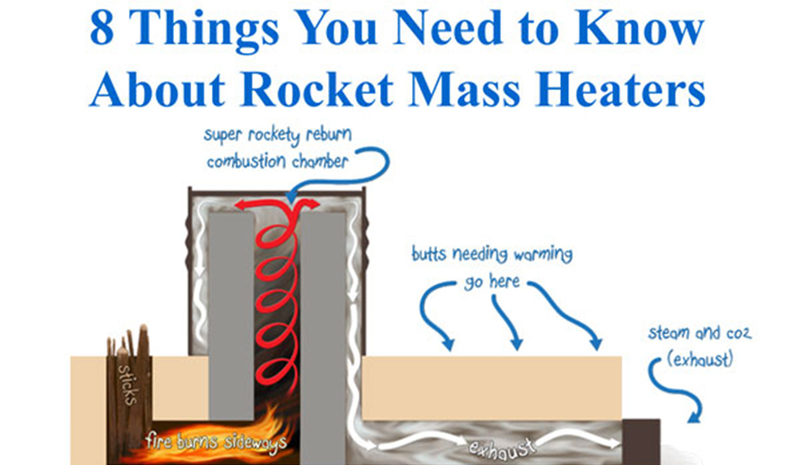 #8 – There are many different kinds of rocket mass heaters. As you can see, these rocket mass heaters provide a multitude of opportunities for heating your home in a clean, efficient, cheap way. 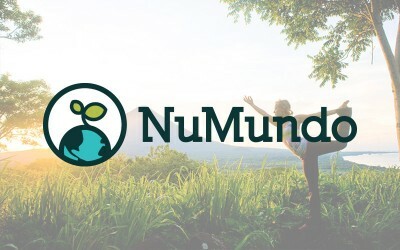 They also give us the massive opportunity to do something and build something that can save the environment we live in! But it can be challenging to build a rocket mass heater without seeing it in front of you. This is why Paul Wheaton and Ernie and Erica Wisner are creating a new DVD set that shows the ins and outs of building a bunch of different types. The DVDs will cover cob style rocket mass heaters, pebble style rocket mass heaters, shippable cores, and even the Rocket Mass Heater Innovators Event Paul hosted out at his land. As more and more people learn how simple, efficient, and eco-friendly the rocket mass heaters are, the faster the world will begin moving – scratch that – sprinting in the right direction towards saving this beautiful earth we inhabit. -25 degrees Fahrenheit ?? What about here in Quebec where we get some -35 Celcius?